Have read “The Intelligent Investor” by Benjamin Graham many times, and every time I read it fully or even in part – I am amazed by the depth, clarity and advice laid out in the book, and relevant every bit today, irrespective of the fact that it was written in the 1940’s. Such a piece of Investment Advice is available nowhere else in such crisp form for the individual investor. It is almost like financial philosophy, akin to the ‘Bhagavad Gita’ of investing and finance for the individual investor – whenever you pick it, you learn a new piece of investment wisdom every time. It is difficult to pick up the best parts from such a book which is so all-encompassing – it covers everything from definition of investment to specific criteria for stock selection. 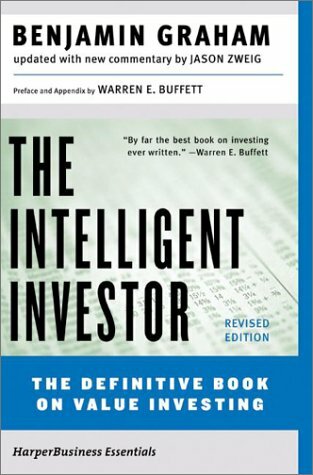 Here are some of the key takeaways from the book that are invaluable for the individual investor – many of which are well discussed, but still worth repeating and re-reading. 1. Investment versus Speculation: Graham presents a very clear definition of investing, which in his view, means any operation that on thorough analysis promises safety of principal and an adequate return. Anything not meeting these – i.e. there must be thorough analysis, must promise principal (he does not use ‘guarantees’ but promises), it must have adequate return (which he goes on to elaborate later), and finally, it must be like an ‘operation’ – business-like. 2. 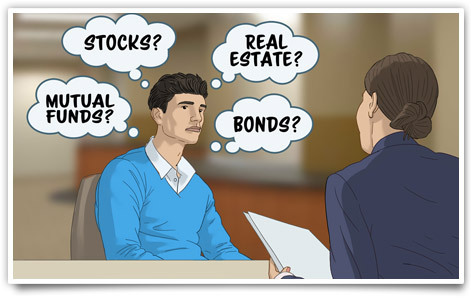 Bonds versus Stocks in Asset Allocation: He presents a simplistic 50:50 formula of allocation between fixed income bonds and stocks that works for most investors – giving a leeway of 25% on either side. i.e. at no time should the allocation of either stocks or bonds fall below 25%. The guiding rule is to keep re-adjusting this allocation when one component increases above a certain defined limit, like 60%, by selling the additional 10% of the increased component and buying the other. This does not guarantee the highest returns – but is a mechanical program that is most likely to practically work – simply because it advises selling and buying when it is counter intuitive, and “chiefly because it gives the investor something to do”. 3. Defensive versus Enterprising Investors: Graham makes a distinction between types of investors not based on risk taking abilities or age – as was traditionally thought. Return is not dependent on risk, but rather on the amount of intelligent effort that is put into an investment operation. The Defensive investor will place emphasis on avoidance of serious mistakes and losses, and seeks freedom from effort, annoyance and the need to make frequent decisions. The Enterprising investor will be able and willing to put in time and effort in the selection and tracking of securities that may appear to be better valued than the general market from time to time – which may help him achieve better returns than the market over long periods of time. Majority of investors would fall into the Defensive category. To achieve satisfactory results available to the defensive investor is easier than most people realize, to achieve superior results sought by the enterprising investor is harder than it looks. 4. The famous Mr.Market: This is perhaps the most valuable part of the book – on how to approach the widely fluctuating markets that an investor will face number of times in his investing life. Treat the market as an obliging, emotional partner in your businesses – i.e. the securities of which you own. Every day, he tells you what he thinks of the value of the share of business that you own, and offers to buy your share at a price or sell you his share at a price. Sometimes his fears overtake him offering you rock bottom prices, while sometimes he is too excited about the future offering you great prices. The best part is he does not mind being neglected – he will come back again tomorrow if you neglect him. Your best interests are then served if you only transact with him if and when you agree with his prices – the rest of the time, it is best for you to neglect him and focus on the operations of your business. In the book, Graham goes on to provide clear stock selection criteria for defensive and enterprising investors – with great examples to help stock evaluation practically. But more than those, the clear framework based on the above – definition of investment, asset allocation, the decision on type of investor, and the attitude towards market fluctuations – are most valuable for an individual investor to go about his investment operations. Graham’s advice and wisdom are unlikely to make anyone rich in a hurry – perhaps only when one gets old. But the principles are timeless and practical, and unlikely to be available in such fullness anywhere else in today’s financial clutter. That alone makes it a case for the ‘best book about investing ever written’ in Warren Buffett’s words, to be a guiding light on your desk throughout your investing lifetime. At the heart of any investment strategy is a key decision that the investor needs to make right at the start. This decision could change based on life circumstances and priorities (hopefully not based on swinging moods), but once made, it is important for investors to stick to that. And that decision is what type of investor should you be? I mention this as a decision that the investor must make, because a lot of current advise seems to try and answer the question – what type of investor are you? rather than what type of investor should you be? The former, I think, is a wrong question to ask – likely to end with the right answers to the wrong question. Very often, in response to this wrong question, investors will end up with the right answers that provide characteristics like aggressive, moderate and risk-averse, derived on a questionnaire around mental make-up, age, income level, etc. Whereas, if one shifts the onus on the decision to be made by the investor – on what type of investor should I be – the next question that comes up will be – how should I decide that? Now that’s a good question to ask. The answer to that is provided by legendary value investor Benjamin Graham in his investment classic “The Intelligent Investor”. That decision should be taken based on a simple criteria: Am I willing to put in more effort for more returns? If that is the case, I would be an aggressive (or enterprising) investor. If that is not the case, I would be a defensive investor, and should be happy with lower returns. Very simple – like all other things in life. If you are willing to work for it, you deserve higher returns, else be happy with lower returns. This may seem like a simple decision to make – but is not easy to stick to. A lot of investors end up trying to be both, and often with bad results. As Graham says, there is nothing like a part-time enterprising investor, because one does not know what one doesn’t know, till experience teaches it. But that is a discussion for another day. The key is – to take this decision on what type of investor you should be, and sticking to it. Your circumstances may change in which case you may make a conscious decision to change your type. But it should be like a switch – on or off. This decision will have a bearing on the kind of portfolio that should be cultivated. Anything in between may provide excitement, but may not provide investment results.